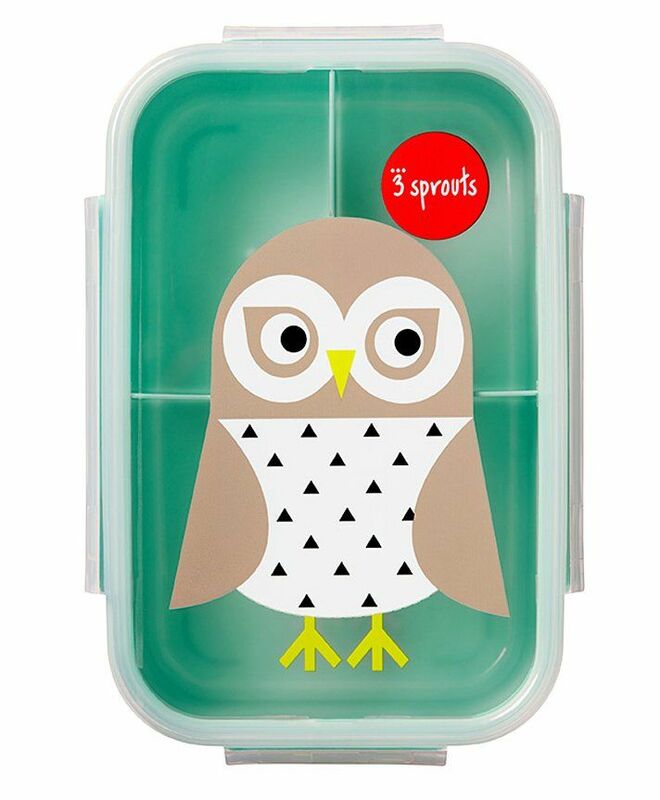 Pack easy, healthy meals on the go with the 3 Sprouts Lunch Bento Box! The leak-proof design even allows you to pack wet foods like yogurt and dips. Its three compartments are perfectly portioned for a child's appetite and the kid-friendly latches open and close easily. The 3 Sprouts Lunch Bento Box eliminates the need for plastic bags and keeps your child's lunch - litter less. Dishwasher and microwave safe.